Some organic foods are not any better for you than their non-organically labeled competitors. You just need to know which of those foods to buy...and herein lies the secret. You'll be getting all those great organic food advantages, but with a lower price tag. Why is this? 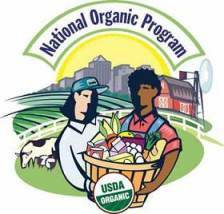 Because the U.S. Congress declared in 2002 that farmers selling more than $5,000 worth of produce every year must not use the "organic" label unless they are certified by the USDA's National Organic Program. Doesn't sound like a bad thing, you say? And on the surface you are certainly right. We need accountability. It is unfortunate, but you just can't trust people to sell what they claim. But upon closer inspection of this USDA program, you'll discover that it really only benefits the large-scale farms. A lot of small farms growing food organically have been left out in the cold. Organic certification is expensive and the mounds of bureaucratic paperwork that come with it is just too much for most small, diversified family farms. Even though they choose to grow crops using safe, natural methods. And because of the National Organic Program, small organic farmers cannot label their meats and produce with the organic label consumers are looking for. What to do? Check out alternative certification programs geared toward smaller-scale farms, like the non-profit organization Certified Naturally Grown. From their site you can also link to their UK partner, Wholesome Food Association. And don't forget to try shopping where organic products originated. At farmers' markets and, when possible, at local farms. Although these farmers cannot call their products "organic," you can directly talk to them about how they grow their food. How to know if they are telling you the truth? Yes, you can't be positive. But a good gauge is to ask to see their farm - even if you have no interest in going. Farmers with nothing to hide would be happy to show you around their farms. And because they do not have to pass on to the consumer the high prices associated with organic certification, you'll be buying organic food that is fresh, natural, and nutritious at an affordable price.